We occasionally highlight valuable material from the Ayn Rand Institute’s online resources here on New Ideal. This video from 2007 by ARI’s Onkar Ghate, and the subsequent article based on it, have enduring relevance. In 1776, Thomas Jefferson announced to the world America’s plans for independence. For the first time in history, there was to be a nation and a government dedicated to the individual’s rights to life, liberty and the pursuit of happiness. But from inception, and from both within and without, the ideals of the new nation were under attack. Without a full justification of an individual’s moral right to pursue his own life and happiness — not serve his neighbors, God or country — the nation was vulnerable, and its founding principles were slowly chipped away. In 1957 the missing justification came with the publication of Ayn Rand’s Atlas Shrugged. This talk examines the moral revolution launched by Rand’s writings, without which the political revolution of the Founding Fathers had to remain incomplete. Ghate discusses what this moral revolution has meant for America so far, what it promises for the future, and why Atlas Shrugged should be considered America’s second Declaration of Independence — a declaration not of political but of moral independence. Ayn Rand’s novel Atlas Shrugged is selling more today than upon its publication in 1957: over 200,000 copies sold in 2008 and more than 300,000 copies already shipped in 2009. With today’s massive growth in governmental power — the financial bailouts, the trillions in spending, the “emergency powers” exerted over the banking system, the proliferation of czars, the administration’s firing of corporate CEOs and control over company bonuses — in the midst of all this, Americans are right to turn to Rand’s epic novel. For far more than just a story containing eerily similar events (the novel depicts the economic breakdown of the United States), Atlas Shrugged offers us an explanation for why the government’s power continues to expand and, even more important, a way out. It presents the ideas we must implement to reverse course. Indeed, in my estimation Atlas Shrugged is nothing short of America’s second Declaration of Independence. To understand this radical claim, we need to begin by rewinding some 230 years, to the birth of the nation, to consider what the American Revolution accomplished and failed to accomplish. It is easy to forget how new an idea America is. The Founding Fathers invented a new type of government. All previous forms of government had, to some degree or other, placed power in the hands of the state at the expense of the individual. Theocracy placed power in the hands of priests and popes, who, as spokesmen for the supernatural, were to be obeyed without question. Monarchy placed power in the hands of a king or queen, whose subjects lived and died by the ruler’s edicts. Aristocracy placed power in the hands of a hereditary elite, who trampled on the members of the lower classes. Democracy placed power in the hands of the majority, who could do what they wished to any minority. In all these systems, recalcitrant individuals were dealt with in the same way. They were greeted with the instruments of physical compulsion: with imprisonment, torture, and death. The priests placed Galileo under house arrest and burned Bruno at the stake. The king beheaded Thomas More. The aristocrats butchered individual peasants en mass. The Athenian democracy forced Socrates to drink hemlock. To all such outrages, the Founding Fathers said: No more. The government does not stand above the individual, as his master, but below him, as his servant. They devised a system that placed power into the hands of the individual at the expense of the state. The individual, they declared, possesses the inalienable rights to life, liberty, property, and the pursuit of happiness. The government does not stand above the individual, as his master, but below him, as his servant. In the Declaration, the Founding Fathers were of course declaring political independence from Britain. More deeply, however, they were declaring independence from priests and from kings, from aristocrats and from the will of the majority. They were creating a sanctuary for individuals with unbowed minds—for the Galileos and Socrateses of the world, who were henceforth to meet with a different fate. What motivated the Founding Fathers to take the enormously dangerous action of creating a new country? Why did they risk their lives, their fortunes, and their sacred honor? The key to understanding their motivation is that they were this-worldly, fact-based idealists. As students of the Enlightenment, of Europe’s Age of Reason, the Founding Fathers believed in the perfectibility of man. If man unfailingly uses his rational mind, and if he carefully studies and formulates the methods by which in fact human values and prosperity are achieved, then perfection, they held, here on earth, is within man’s grasp. This, precisely, is what the Founding Fathers did with regard to the subject of government. They painstakingly studied the forms and history of governments, in order to define a perfect method of governance. The result was the Constitution of the United States, with its innovative set of checks and balances, designed to prevent any emergence of absolute power. To most British subjects, British rule was good (which, comparatively speaking, it was) and good enough. But to the Founding Fathers, good was not good enough. As idealists, they sought perfection. When they saw the possibility for action, therefore, they rebelled— when few other men would have done so. A man of genuine self-esteem will jealously guard his freedom — his freedom to follow his own judgment, to make his own choices, and to enjoy the values and wealth he creates. To burn with this type of idealism requires a profound self–esteem. It requires a spirit that wants to see perfection made real, for itself and in its own life. Genuine self-esteem—not the “we’re all okay” variety—is an earned esteem of your own soul. It is the conviction that you are deserving of success and happiness, because you are continuously working to achieve these. If you wonder about the imposing stature of the Founding Fathers, of men like Washington, Franklin, and Jefferson, this is the key. They were men of genuine self-esteem; men who took the perfection of their own lives, mind, character, and happiness with the utmost seriousness. They were abstract thinkers and also doers: men of wide and constantly expanding erudition, who were also lawyers, farmers, printers, business owners, architects, and inventors. This kind of individual will jealously guard his freedom—his freedom to follow his own judgment, to make his own choices, and to enjoy the values and wealth he creates. To such an individual, the issue of his own perfectibility is a daily reality, which he will allow no one to usurp. To such an individual, the idea that he is a sinful or irrational or wretched creature, desperately in need of a superior to tell him what to do, has no reality. This kind of an individual will allow no king or government to dictate his convictions or dispose of his fortune and life—not for any reason or to any degree. For the Founding Fathers, the motto “live free or die” had real meaning. Without freedom, they would be dead— their mode of existence would be dead— their unrelenting, unbowed pursuit of their own perfection would be dead. And so they fought. The Declaration of Independence was a declaration of self–esteem. It was made by men proud to fight for their full freedom. But their achievement is eroding. The Founding Fathers would be shocked by the power that is now concentrated in the hands of the American government at the expense of the individual. Can you imagine Jefferson submitting to building inspectors, who would decide if Monticello is up to government code? Pleading with FDA officials to be allowed to take an experimental drug that, according to his own scientific judgment, is beneficial? Allowing Social Security administrators to dictate how much he has to save for retirement and where he can invest it? Patiently watching the tax collector take his money and pour it down the aid drains of the Middle East and Africa? Prostrating himself before the FCC, which would determine whether or not his broadcast content is obscene? Can you imagine Thomas Jefferson seeking the government’s permission to eat irradiated spinach, screw in an incandescent light bulb, or buy a trans-fatty French fry? Would he allow the government to thus dictate to him what he ought and ought not to do? Today, however, Americans do not have the self-esteem to protest these usurpations of their judgment, their choice, their freedom. America’s declaration of self-esteem has not taken full root. Although the core of self-esteem is an earned confidence in one’s power to think and to produce—which Americans have earned in abundance—full self-esteem requires that one self–consciously value one’s self. Full self-esteem requires that one know in explicit, moral terms that one is good—and why. This moral conviction neither the Declaration of Independence nor any other writing of the Founding Fathers provides Americans. Consider why this is so. The European Enlightenment had promised to put morality on a rational, mathematically precise foundation, but it could never deliver on its promise. And far too many of its intellectual leaders assumed that the content of morality would be essentially Christian morality, stripped of its mystical trappings, and, somehow, defended by rational argument. The Founding Fathers agreed with the European intellectuals. Does the Sermon on the Mount not indict Jefferson and the other Founding Fathers? Now ask yourself this: Does the Sermon on the Mount not indict Jefferson and the other Founding Fathers? When the British struck America’s right cheek, did Jefferson in the Declaration tell America to turn to offer them the left? Did Jefferson love his enemy—or did he go to war with him? Did Jefferson, who had a gallery of worthies in his home, portraits of men like Isaac Newton and John Locke, think that the blessed are the poor in spirit—or that the only people worthy of admiration are those who choose to make something of their spirit? Did Jefferson and the other Founding Fathers think that the meek shall inherit the earth—or that, in Locke’s words, the rational and the industrious shall? Did Jefferson give up riches—or did he seek them? On every essential, the Founding Fathers did the opposite of what the Sermon commands. And that’s because the Sermon on the Mount is a declaration of war on man’s self–esteem. Who then has a right to feel good about themselves, according to the Sermon? The meek and the poor in spirit—which means: those who have no cause to esteem themselves. So you can look at America’s history this way. 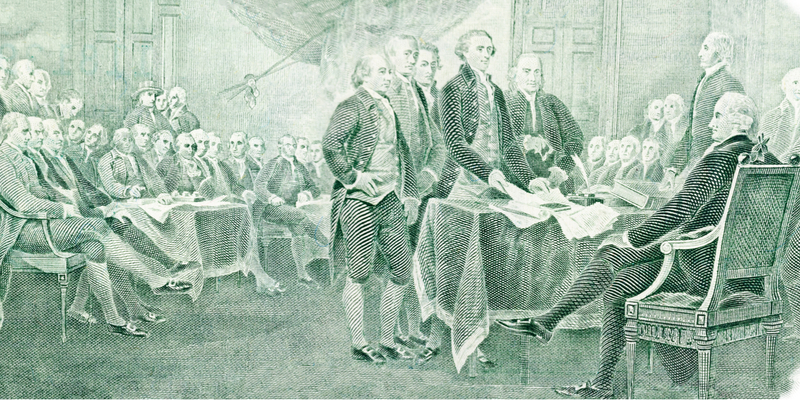 The Founding Fathers created a new form of government and thereby opened up a continent to their kind of individuals—individuals of self-esteem, individuals who were ready to drop their old, backward cultures and work for a better future, individuals who valued themselves so highly that they sought the best for themselves and in themselves by coming to America. But the Founding Fathers left these individuals unable fully to understand or appreciate their own greatness, open to every form of abuse, and vulnerable to every sort of moral denunciation from a moral code that had dominated the Old World for centuries. And the denunciations soon came. The new country had exploded with breathtaking feats of productivity. Most responsible for this prosperity were individuals who had never had a chance to exist before: capitalists and industrialists. Oil, steel, railroads, new financial instruments—these and other innovations the Rockefellers, the Carnegies, the Vanderbilts, and the J. P. Morgans brought into the New World and taught men how to value. For this, they were denounced as robber barons. But more than just moral denunciations came. If America was to be the land of the ideal, as the Founding Fathers had promised, and if the ideal is in fact that the meek and poor in spirit shall inherit the earth, then America’s government needed drastic overhaul. All the new governmental powers, the alphabet soup of regulatory agencies that Jefferson would have rebelled against, were justified by attacking the men of self-esteem in the name of the meek and the poor in spirit. What is the moral justification, for instance, for the FDA’s existence? Rich, greedy drug companies—i.e., those who discover and manufacture life-saving pharmaceuticals—will exploit and experiment on hapless patients, so the government must oversee the companies’ every move. Besides, how can the meek be served, unless the government, through its approvals and rejections, favors the kinds of drugs the meek need? And how can the poor in spirit achieve blessedness, if in their mindlessness they ingest a pill that they could have known might kill them? So to protect the blessed from their own ignorance or irrationality, we need wise government officials to first approve drugs and to dictate to everyone what pills they may and may not swallow. Or what is the moral justification for the creation of Social Security? To quote from the Administration’s website, in an article about the history of social security, it is “the government’s duty to provide for the welfare of the poor.” If a person is too meek to provide for his own old age, then those who are richer should be forced to provide for his retirement. If a person is too ignorant or irresponsible to save for his own retirement—if he is that poor in spirit—then the government must step in and, in his name, strip everyone of control over their retirement plans. In one of the world’s great acts of independence, Rand declares, in effect, that the essence of the Sermon on the Mount, along with everything it presupposes and everything it implies, is evil. Now to all of this—to whatever form the sacrifice of men of achievement and self-esteem to men without achievement and self-esteem takes—Ayn Rand in Atlas Shrugged says: No more. The idea that the good consists in achieving the good of others—of your neighbors, of your country, or even of your enemies—of anyone or anything, real or imagined, that is not you—the idea that you must sacrifice your personal values without even an expectation of return—the idea that nobility means being selfless, and wickedness means being concerned with self—the idea that morality is synonymous with altruism, and immorality synonymous with egoism—all of this is challenged in Atlas Shrugged. Of this whole approach to good and evil, Rand asks questions no one dared to ask. What, she asks in Atlas Shrugged, is the good according to this morality? Supposedly, it’s that you achieve the good of others. But what then is their good? Presumably, that they in turn achieve the good of still other people. But then we are again faced with the same unanswered question: what is the good of these other people? To the question “What is the good?” this approach to morality actually provides you with no answer. It gives you only a chain of arrows, leading to nowhere; a string of zeroes, adding up to nothing. The code upholds no ultimate value or positive ideal. It is unconcerned with the main task of the science of ethics: namely, of defining the good that you must achieve and live up to. So what does this do to people in actual practice? It means that it is impossible to know whether you have ever achieved the good—or failed in the attempt. Consider first what this does to a man of self-esteem. To anyone striving to be good, this code declares that you have never done enough. No matter how much you’ve sacrificed, you can never achieve your own moral perfection. You can never reach the ideal. Have you ever wondered why the demands for sacrifice just continue to grow and grow? The income tax, for instance, started off as something that of course would apply only to the very rich and that of course would be capped at 7% of income. But then it grew to 15%, 20% and 25% of income, and included in its clutches more and more productive citizens. Can we, as productive individuals, at any stage protest that we’ve sacrificed enough, that we’ve already achieved the good of others? Don’t be so naïve—we’re answered— who said the good was achievable? Or why is it that decade after decade, as the United States pours money into Asia, Africa and the Middle East, still more handouts are demanded from us? Can we ever protest that we’ve sacrificed enough, that we’ve achieved the good of others? Again the same answer: Surely you’re not so naïve as to think the good is achievable? The result, therefore, to any rational person striving to be good, is a state of moral anxiety, self-doubt, and guilt. No matter how much he has sacrificed, the thought haunts him that to be good he should have sacrificed still more. Many decent people therefore stop striving to be one hundred percent moral—”Not everyone can be a saint,” they conclude—and they thereby abandon the quest for self–esteem. Now what of the scoundrels who are actually unconcerned with achieving happiness and moral perfection within their own souls? No matter the nature of their concrete actions or how dreadful the outcomes of those actions so far, so long as their motive is not self-interest, anything is permitted to them. Whatever they do, they retain the halo of morality. To be concerned with advancing your own interests, is evil; to escape evil, therefore, you must sacrifice your values. The only concrete advice the code offers you is: sacrifice, sacrifice, and then sacrifice some more. Have you ever wondered why, when the so-called humanitarians at the U.N. produce debacle after debacle and corruption after corruption, their power and prestige only increase? Have you ever wondered why, when government program after government program leads to disaster—when Social Security jeopardizes your financial future, public education turns out barely literate children, and Medicare causes skyrocketing costs—the scope and funding of these programs only increase? Have you ever wondered why, as individuals were murdered in the thousands and tens of thousands in Communist Russia and China, many onlookers in the East and West alike said: Give them more time, they may eventually achieve the good of others? Atlas Shrugged gives us the answer. Nothing can count as failure to achieve the good of others, because nothing counts as success. What we have here is a negative morality. This code is unable to specify the nature of the good. But it does define, in precise detail, the nature of evil. To be concerned with advancing your own interests, is evil; to escape evil, therefore, you must sacrifice your values. The only concrete advice the code offers you is: sacrifice, sacrifice, and then sacrifice some more. This is the real focus of the code and why Rand names it the morality of sacrifice. Sacrifice your money to strangers who have not earned it, proclaims the Sermon on the Mount, and sacrifice your love to enemies who hate you. Sacrifice the values of both matter and spirit. Sacrifice, sacrifice, sacrifice. But does this morality of sacrifice not contain some enormous, hidden double standard? Now what, in effect, is the Sermon on the Mount’s answer to these questions? Why, for instance, do drug companies not have the right to sell their inventions to anyone and everyone eager to buy them? Because the companies invented the drugs. Why do we, the public, through the FDA, have the right to dictate what drugs these companies can and cannot sell, how they must research, test, manufacture, and label them, what uses they can and cannot be prescribed for, and who can purchase them? What gives us this incredible power? The fact that we didn’t invent the drugs. Or why does an employee not have the right to keep and invest all his income as he judges best for his old-age? Because he earned the money. Why do we, the public, through the Social Security Administration, have the right to take part of his income and dole it out to whomever we think needs it? Precisely because we, and the recipients, didn’t earn the money. If you want just one example to fix in your mind the gruesome essence of the morality of sacrifice, and what it does to self-esteem, consider America’s response to 9/11. When the Twin Towers were attacked and thousands of individuals killed, many people in the Middle East danced in the streets. But others there, although sympathetic to the revelers, sought to hide the revelry from view. They worried that the attacks had gone too far this time, and that Americans would refuse to suffer such an outrage. They worried that our self-esteem was not completely extinguished, and that their gloating would revive it. They worried about our indignation and our wrath. But then—there is little doubt—Bush asked himself: “What would Jesus do?” Tragically, it was a question to which Bush knew the answer. We now had to love our enemy. Operation Infinite Justice was renamed so as not to offend the Islamic world. 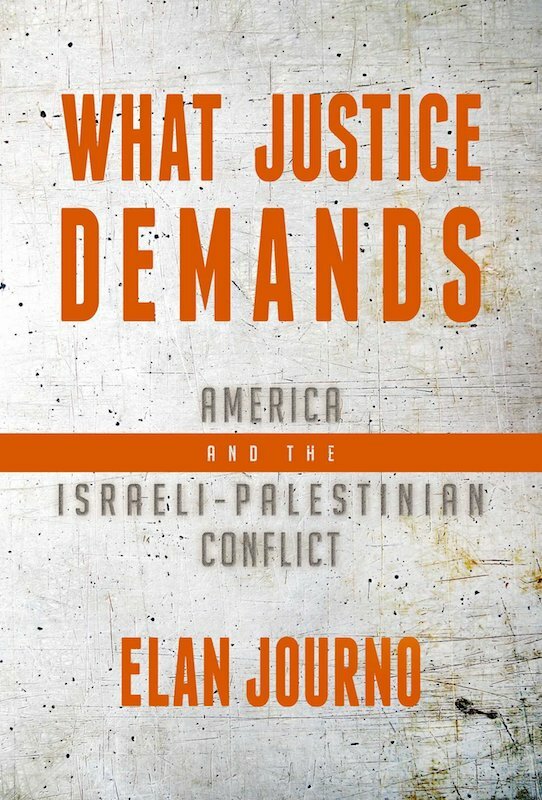 Gone was the extraction of justice, replaced by the goal of bringing democracy to the Middle East, so that its inhabitants could elect whomever they wished, killers like Hamas emphatically not excluded. A campaign of shock and awe did still materialize—but not in the way originally meant. Imagine the utter shock of the Islamic warriors and their numerous supporters, when they realized that it was not U.S. bombs dropping on their heads, but packets of lentils, barley stew, biscuits, peanut butter, and strawberry jam, along with the message: “This is a food gift from the people of the United States of America.” Imagine the awe they must have felt at their own power. The Sermon on the Mount and all its variations through the centuries—Atlas Shrugged reveals—is a morality of evil and for evil. But it has a fatal flaw. It requires that its victims accept it. They had attacked the Pentagon and toppled the Twin Towers, and this had brought them not what it brought the Japanese after Pearl Harbor, namely U.S. soldiers bent on their complete destruction, but U.S. soldiers bent on rebuilding their hospitals and mosques and bringing them the vote—the young American soldiers all the while dying in the attempt. We are proving to these people that the meek shall inherit the earth and that blessed indeed are the poor in spirit. As they regroup in Afghanistan, Pakistan, Iran, and elsewhere, the confidence and power these killers feel is real: it is granted to them by the morality of sacrifice. The Sermon on the Mount and all its variations through the centuries—Atlas Shrugged reveals—is a morality of evil and for evil. But it has a fatal flaw. It requires that its victims accept it. This is the beginning of Ayn Rand’s declaration of moral independence. To win your moral independence, she declares, you must first say “No” to the corrupt ideal of sacrifice. You must reject as unspeakably evil any morality that demands sacrifices, whether the sacrifice of your values to the misfortune or irrationality of others, or the sacrifice of their values to your misfortune or irrationality. Whether it be a relative demanding an attention he has not earned, or the latest health-care scheme from Washington promising to give us something for nothing by soaking the rich, we must say “No.” The moment the good requires victims—it ceases to be good. To win your moral independence, you must uphold every individual’s moral right to exist—beginning with your own. You have the right to exist, a moral right to your own life and to trying to achieve happiness within its days and years. No one has a moral right to demand that you gain his permission to exist by slavishly ministering to his needs and protecting him from his own shortcomings. No one has a claim on your life. The moment someone waves his pain or need or failures or misfortune around, proclaiming that these entitle him to your values, he removes himself from any moral consideration. The Founding Fathers grasped, politically, that no one gains a right to your life by virtue of his real or alleged superiority. Neither priest nor king nor aristocrat nor the majority gains a right to your life by virtue of superior social position, mystic visions, ancestors, wealth, or numbers. Atlas Shrugged offers a new conception of the moral ideal — far different from that of the Sermon on the Mount. Fundamental to its new moral code are the actual requirements of life and happiness: the virtues of thought, production, and trade. What must now be grasped, morally, is that no one gains a claim to your life by virtue of his real or alleged inferiority. No one gains a moral claim to your life by virtue of his inferior wealth, power, happiness, intelligence, health, ability, knowledge, or judgment. What this means is that your moral stature is not at the mercy of whether someone else has failed, or perhaps could not even be bothered, to provide for his own health care or retirement. Politically, the Declaration of Independence taught us to reject the notion of undeserved serfdom. Morally, Atlas Shrugged teaches us to reject the notion of unearned guilt. In place of unearned guilt, one should embrace the nature of one’s existence as an individual human being—a being that must seek and create values in order to remain vibrantly alive. This is the precondition of self-esteem: to seek in all things the best for one’s self. To embrace life is to recognize that the whole act of valuing arises in the context of one’s own life and the need to make it go well. From a child choosing a toy to a teenager choosing a friend to an adult choosing a career or a lover or a form of government—the need to do so arises from the same question: What will advance my life? The precondition of self-esteem is to refuse, as the Founding Fathers refused, to settle for anything less than the ideal in one’s life. And to this quest for the ideal, the science of morality, properly conceived, is an indispensable aid. Its task is to teach you fully what to value and how to value. Its task is to teach you how to attain life and happiness. Atlas Shrugged accordingly offers a new conception of the moral ideal—a new conception of the sacred and the exalted, far different from that of the Sermon on the Mount. Fundamental to its new moral code are the actual requirements of life and happiness. Central to its new ideal, therefore, are the virtues of thought, production, and trade. Atlas Shrugged is a hymn to man’s mind. Every value that man has achieved had to first be discovered by some individual mind or minds. From picking fruits to hunting with spears to planting crops in order to harvest them months later—from the invention of theater, as a source of enjoyment and emotional fuel, to the discovery of perspective in painting to the creation of music—from the identification of the laws of motion to the formulation of the laws of logic— from the discovery of germs and antibiotics to the invention of the transistor and the computer—for each of these steps, some mind had to figure it out. This is the source of human life and happiness. To worship life, therefore, means to worship man’s intelligence. Abstract thought is not a game in which one cynically marvels at the alleged paradoxes of the universe. Thought — abstract thought — is purposeful. It demands a serious dedication to your life. And if it is your own life that you seek, then the development of your intelligence becomes the most fundamental of goals. To learn to think, to make connections, and to see farther than you have so far seen—to learn to think carefully, systematically, logically, and objectively—to learn to see the full implications of your ideas—all this becomes the most important of tasks. The scope of your knowledge and the power of your thinking will dictate the success or failure of all your value pursuits, from earning a university degree to succeeding as a doctor or computer programmer or CEO, to raising kids who are competent and independent. For Ayn Rand as for the Founding Fathers, abstract thought is not a game in which one cynically marvels at the alleged paradoxes of the universe. Thought—abstract thought—is purposeful. It demands a serious dedication to your life. It demands the honesty of a mind seeking all the facts, because these and only these will dictate its conclusions about how to act. It demands the independence of a mind reaching its own verdict, no matter how many people say otherwise. It demands the integrity of a mind committed to acting on its own considered judgments. Thought is purposeful. Thought is selfish. Thought is for the sake of production. The virtue of production, Atlas Shrugged shows, means a dedication to making the ideal real. It means far more than holding a job. It is a dedication to the work of “remaking the earth in the image of one’s values.” (Atlas Shrugged) It represents the proper union of the spiritual and the material. What the novel shows is that the souls of an artist and of an industrialist are the same. The artist has a new vision of beauty, of what could be, and he strives to give it material form—to erect a sculpture of a woman, to paint a beautiful landscape, or to write Cyrano de Bergerac. The industrialist has a new vision of prosperity, of what could be, whether it be railroads crisscrossing the continent, a metal superior to steel, or a computer on every desk, and he works endlessly to bring it into existence. All production is born of a dedication to one’s life in reality. It is the earthly form of idealism. Without it, there is no self-esteem. A producer, in his dealings with other men, demands a non-sacrificial mode of existence. In issues of both matter and spirit, in money and in love, he is a trader. Notice how different this is from the Sermon on the Mount. And notice that on this approach trade is moral not because it achieves the welfare of the meek or the wealth of the nation. Trade’s justification is not that it somehow commutes selfishness into selflessness. Adam Smith’s invisible hand, taken as a justification, is corrupt. Trade, production, and thought — these form the core of Atlas Shrugged’s new, life-based morality. Trade needs no outside justification. The justification of trade is precisely that it is a trade: it is an interaction in which each person is able to pursue his self-interest and happiness. It is the only form of interaction in which individuals meet one another as equals, not as exploiter and exploited. When you trade your paycheck for a new computer, both you and the seller are better off. You both obtain something more valuable to you than that which you gave up. Trade is the only form of human interaction that at once demands self-esteem—it demands that each trader be seeking the best for his own life—and, in turn, allows each person to preserve his self-esteem, because he has neither sacrificed his self to others, nor tried to cheat reality through the double standard of demanding the sacrifice of others to self. Trade, production, and thought—these form the core of Atlas Shrugged’s new, life-based morality. Notice how starkly this ideal contrasts to the Sermon on the Mount’s religious conception of morality. Faith, hope, and charity are its virtues. Faith means belief in the absence of logic. It is the opposite of thought. Hope means that you are unable to reach the ideal, that perfection is beyond your reach, but that by God’s grace you might obtain it, usually in some alleged afterlife. Hope is the opposite of working to create the ideal in this life. It is the opposite of production. Charity means giving yourself over body and soul to your neighbor and even your enemy, with the expectation of no return. It is the opposite of trade. Jesus on the cross exhibited these virtues. He had the faith that there was an other-worldly father. He had the hope that he would gain the grace of this other-worldly being. He had the charity to sacrifice his own soul for the redemption of sinners. The result was his death. For a morality of life, this cannot be the image of the moral ideal. What then is? The great thinkers and producers. The scientists, philosophers, artists, inventors, and industrialists who make a human mode of existence possible—individuals like Aristotle, Newton, Edison and Rockefeller. Men such as these are the heroes of Atlas Shrugged. Remember Jefferson’s gallery of worthies? Who were some of the individuals included in it, other than himself? Philosophers like Francis Bacon and John Locke; scientists like Isaac Newton and Benjamin Franklin; political thinkers and men of action like Voltaire, Turgot, and Thomas Paine. In Atlas Shrugged’s terms, these are men of the mind. And this gallery of worthies itself captures the greatness of America’s founding: it was the possibility of such men and such achievements that served as the Revolution’s deepest motive power. But the tragedy of the Revolution is that Jefferson and the other Founding Fathers still thought of Jesus as the sublime preacher of the Sermon on the Mount. What Atlas Shrugged shows us is that the choice is either–or. And more: it shows us that Jefferson’s gallery of worthies are worthy of that which they had never been granted before: moral respect, moral admiration, and moral esteem. Now you might be wondering, if Atlas Shrugged is chock full of new ideas, why did Rand first present them in the form of a novel? Precisely because her concern was the moral ideal. She wanted to give material expression to her new vision of the ideal. The form in which one does this is art. The goal of her writing, she said after Atlas Shrugged’s publication, “is the projection of an ideal man.” Art allows one to experience the ideal made real. It allows one to inhabit that world for a time. As anyone who has read Atlas Shrugged knows, the contemplation of a great work of art is an unforgettable and indispensable experience. Rand of course knew that one can learn a lot from Atlas Shrugged. But she regarded this as a secondary benefit. The book’s primary, essential value is that within its pages one experiences her new ideal made perceptible and real. To restore America to her greatness as the country dedicated to the individual, we must be willing to challenge moral ideas inculcated since childhood. This is what Atlas Shrugged does for us. But to now make real in our own lives the ideal presented in Atlas Shrugged, and to restore America to her greatness as the country dedicated to the individual, we must be willing to challenge moral ideas inculcated since childhood. We must realize that one of the most difficult feats is to question our existing moral views and embrace a radically new moral code; nothing less will do. To reverse the trend toward Big Government, to halt the transfer of power from the hands of the individual to those of the state, we must champion the individual. But to champion the individual’s moral right to his life, to his liberty of thought and action, to his selfish pursuit of property and happiness, we must be willing to challenge the Sermon on the Mount. In the name of our own self esteem, we must proudly say “No” to a moral doctrine that chains the individual to other people, that demands that one feel guilty for success, and that divides mankind into servants and masters. We must instead embrace a code that extols the virtues of thought, production, and trade and declares that the purpose of morality is to teach you how to achieve your own life and happiness. We must recognize that a moral code of individualism is the only code compatible with America’s uniqueness. Atlas Shrugged is America’s second Declaration of Independence. But what remains for us to do is to pledge our lives, our fortunes, and our sacred honor to understanding and realizing its vision of the ideal.